LEESBURG, VA (25 SEP, 2017) – TMC Global Professional Services (TMC) is pleased to announce a new prime contract award. The three-year single-award contract is overseen by the United States Department of Defense in cooperation with the Government of Uzbekistan. TMC’s support under the contract will include tasks and activities in support of the Cooperative Biological Engagement Program (CBEP) in Uzbekistan to promote biological safety and security, encourage Uzbek engagement in the global scientific community, and increase the technical capacity of scientists at human and animal health laboratories, ministries, and institutes. Additionally, the project will include training, network building, and an academic fellowship program. Implementation of these activities will increase international best practices in the field of infectious disease surveillance, diagnostics and research, promote international collaboration and enhance the technical capacity of scientists in Uzbekistan. For 20 years, TMC has been providing government and commercial clients with the expertise and practical support they need to accomplish missions in challenging environments. With operational experience in over 80 countries, including offices in the United States and offices in Azerbaijan, Republic of Georgia, Kazakhstan, Tajikistan, Romania, Russia, Ukraine, and Uzbekistan our workforce of multidisciplinary professionals provides a full range of program management and technical services allowing our customers to realize success in locations that oftentimes possess unfamiliar customs, language, geography, local laws, and regulations. 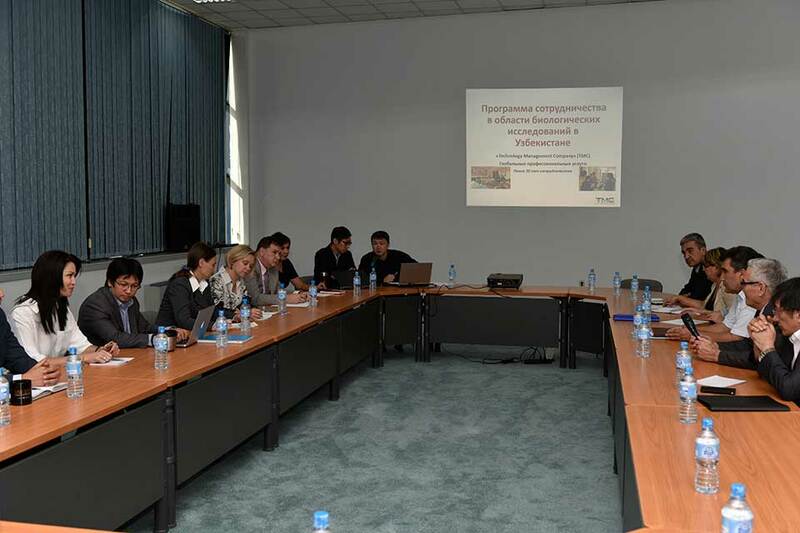 (On September 20, 2017) TMC opens up the floor to representatives from the Government of Uzbekistan to discuss the new training and fellowship initiatives under the recently awarded Uzbekistan Biological Science Engagement Program.